With a stay at Wyndham Garden Cross Lanes Charleston, you'll be centrally located in Cross Lanes, within a 15-minute drive of Charleston Civic Center and Charleston Town Center. This hotel is 4.1 mi (6.7 km) from Scarlet Oaks Country Club and 4.8 mi (7.8 km) from Nitro City Park. 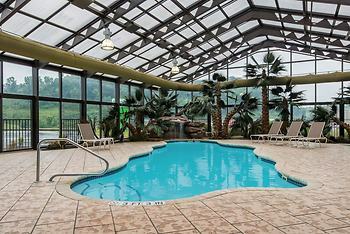 Кога бихте искали да отседнете в Wyndham Garden Cross Lanes Charleston?